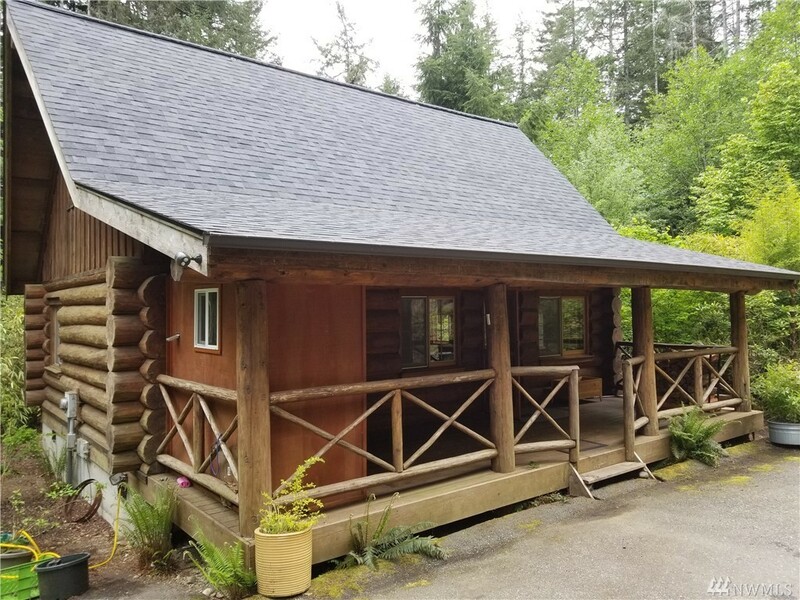 Escape the hustle & bustle to this cozy log cabin on Hood Canal.Open kitchen w/butcher block counter top & all appliances included. Features newly carpeted 1 bedroom loft with sitting area. Updated bath. Welcoming covered porch & the backyard is fantastic too! Sweet little deck tucked back in the trees. Newly wrapped greenhouse & storage shed. NEW ROOF! Enjoy all of the amenities that Colony Surf has to offer: clubhouse, swimming pool, sports court, playground, lake & Hood Canal beach access.